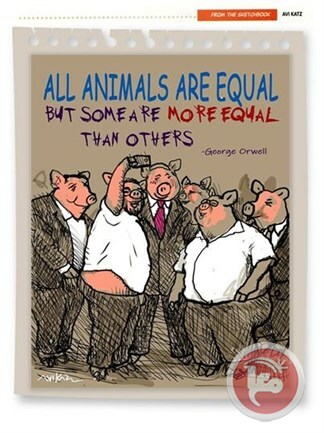 BETHLEHEM (Ma’an) — The Jerusalem Report, a biweekly magazine published by The Jerusalem Post, dismissed a freelance cartoonist for an illustration depicting Israeli Prime Minister Benjamin Netanyahu and Likud lawmakers as swine characters. The Union of Journalists in Israel confirmed on Wednesday that Avi Katz, the criticized cartoonist, was dismissed after the cartoon ran in the magazine’s edition this past week. Katz is an American immigrant to Israel and has been contributing various political illustrations to the magazine since 1990. 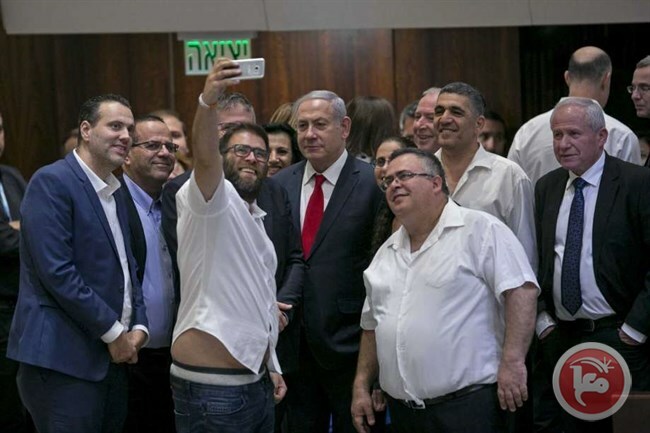 The cartoon by Katz portrayed a photo of the grim-faced Netanyahu and members of the Likud, a right-wing political party, taking a selfie at the Israeli Knesset following the approval of the controversial Nationality Law. The Nationality Law enshrines the status of the State of Israel as the nation state of the Jewish people and declares that the right to exercise national self-determination in Israel is exclusive to Jews. The approved law was even labeled as “racist and discriminatory” by many critics from around the world. The cartoon was meant to criticize the Israeli Knesset’s approval of the law. George Orwell’s “Animal Farm” published in 1945, is an allegory which reflects events leading up to the 1917 Russian Revolution and then on into the era of the Soviet Union and Joseph Stalin’s subsequent rise to power. Animal Farm depicts the events as a form of revolt by farm animals against their human owner and its aftermath. Orwell emphasizes human characteristics through the behaviors of the swine, who only seek more power, pointing out that humans can be corrupt as everything else in this world. After Katz’s dismissal, the Israeli Animix festival launched a fundraising page in support of the cartoonist and had raised over $10,000 to employ him until being able to find an employment.